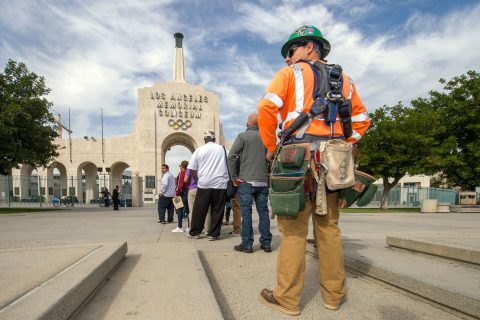 Armed with tools of their new trades, local men and women bring energy and high spirits to long-awaited restoration of the legendary landmark. 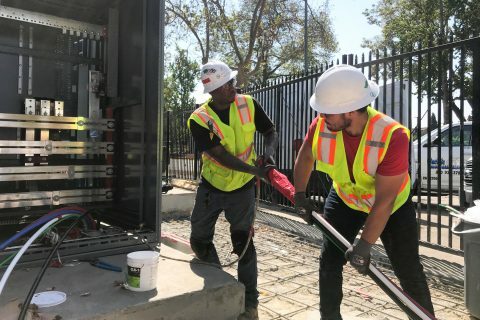 When ramped up, the project will provide work, benefits and union membership for L.A. County residents and others. 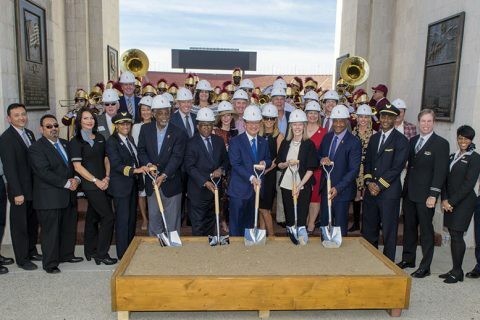 President C. L. Max Nikias (center) leads the groundbreaking with Councilman Curren Price; Supervisor Mark Ridley-Thomas; Janet Lamkin, president of California for United Airlines; and Lynn Swann, USC’s athletic director. 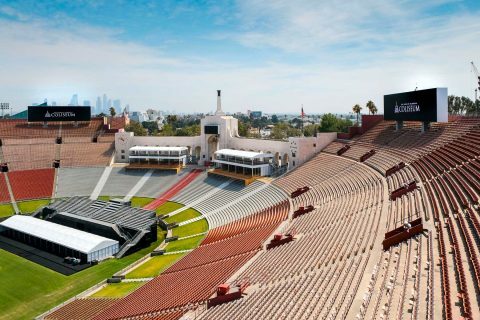 The historic home of the Trojans will be renamed in 2019 after a $270 million renovation is completed. 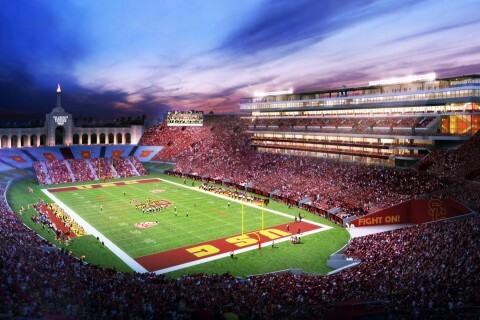 Project will restore and improve the historic venue, the Trojans’ home since it opened in 1923. 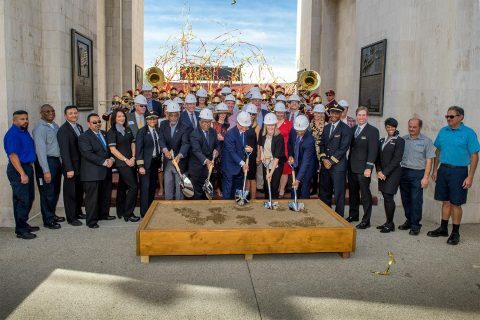 The Julia and George Argyros Plaza will recognize the $7.5 million gift to restore the stadium’s iconic columns and Olympic torch. 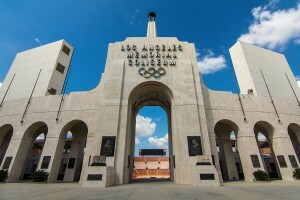 The Los Angeles Coliseum ranks as one of the country’s most sustainable stadiums. 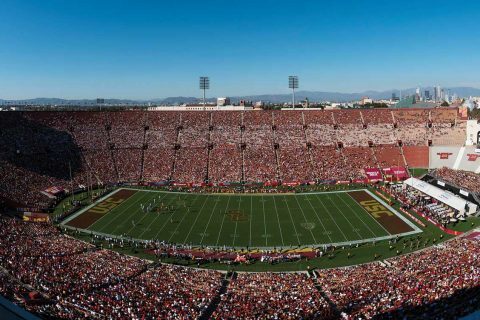 USC-managed stadium is the largest in the NFL and the second-largest college field to achieve the remarkable goal, repurposing over 90 percent of waste created by over 1 million fans. 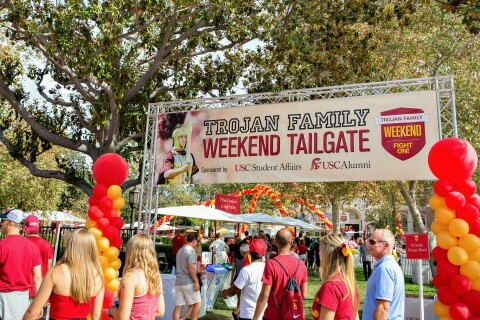 More fun is in store for fans and families on campus when Trojans play at the Coliseum. 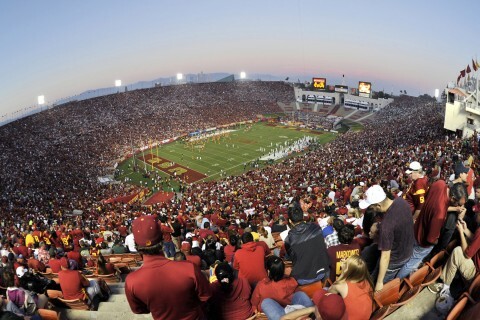 The home opener is Saturday against Utah State. Alumni write in with their most memorable moments on the field and off. 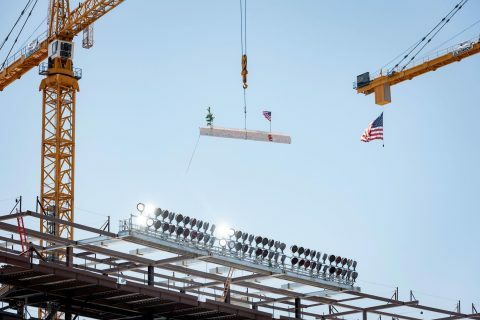 Clear-bag policy limits the size and types of bags that may be brought into the stadium for all events. 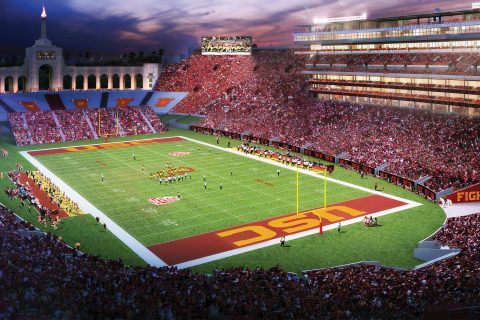 If approved, the $270-million restoration would be completed in time for football’s 2019 home opener. 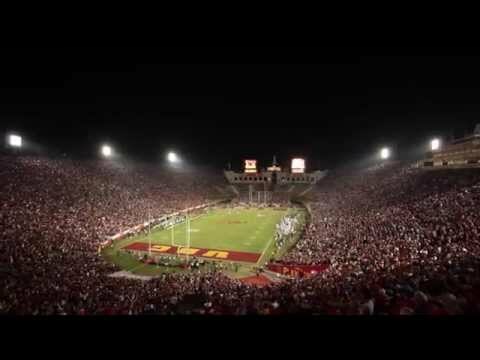 Watch as the field gets its shine on for Saturday’s season opener against Arkansas State. The venue’s trash cans will serve as containers holding contents bound for Central Valley farms, not the landfill. 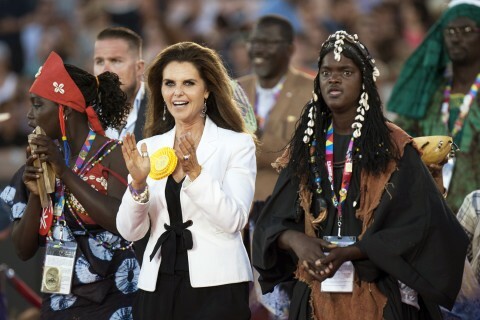 The excited crowd came to the Coliseum for a memorable show, and did not leave disappointed. 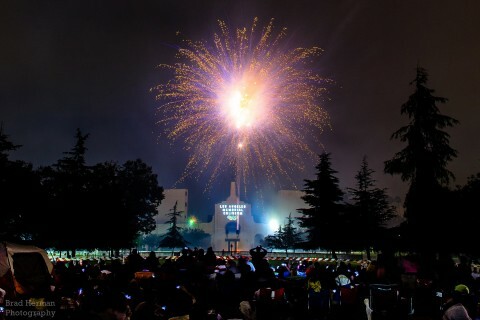 Free event features food, games, rides and, of course, fireworks. 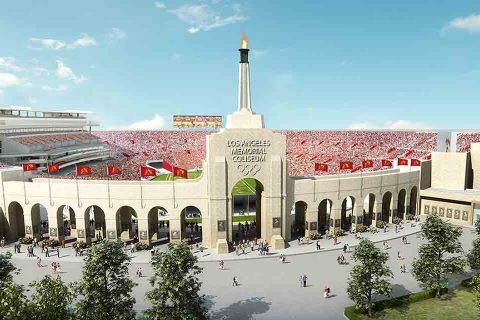 The home for USC football and many memorable events gives visitors a vivid sense of history and heroes. Athletic director charts possible changes to historic venue.